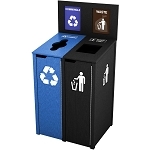 Recycle Away is the leading recycle bin provider for convention centers in the USA! 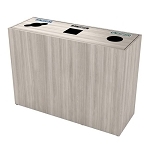 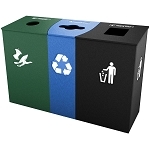 Our many versatile waste sorting and sustainability solutions help keep large conference destinations clean and tidy with higher ease-of-use and lower effort for attendees and maintenance staff alike. 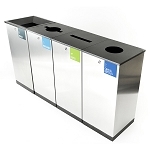 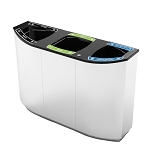 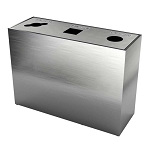 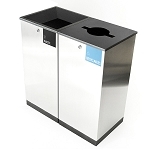 From multi-stream recycling stations with compartments for bottles and cans, compost and mixed-waste to attractive ready-made single-stream stainless round, square and rectangular container configurations, we have the bins to meet the needs of high-traffic, venues. 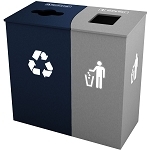 Our highly-qualified recycling experts collaborate with venue professionals every day, helping determine the quantities, placement amd compatibility with conference hall decor while meeting state and local compliance regulations. Our extensive work with hotels and resort conference centers across North America makes us a premier partner for event planners and meeting management professionals. 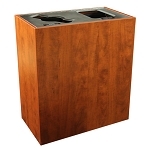 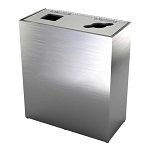 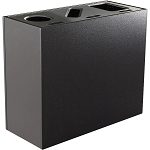 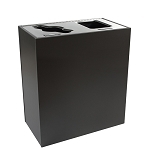 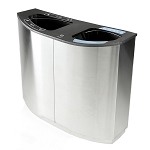 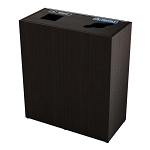 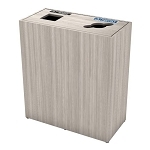 Impress your guests with beautiful bins! 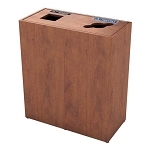 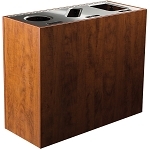 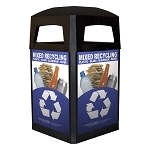 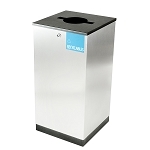 Everyone from keynote speakers to attendees will take notice of your great looking recycling stations and barrels. 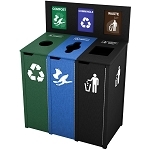 With thousands of potential customized configurations, Recycle Away can help promote the image and branding of your assembly space with custom inset logos, artwork and site-specific color schemes. 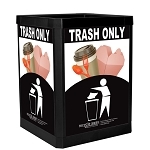 Our huge selection of unique container designs allow us to fulfill all of your needs at once; from restroom facilities to hall entrances to back-of-house food prep areas; our containers are high-quality and look stunning in spaces like civic centers, auditoriums, theatres and lobbies. 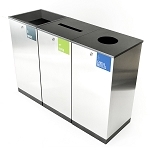 Newly built conference facilities deserve handsome and hardworking containers placed in concierge and check-in areas to large public outdoor spaces where guests congregate. Food and beverage barrels are available for the chefs and catering pros working hard in the background to make every gathering or event a memorable experience.